Celebrate Lights On Afterschool at City Hall on October 25! 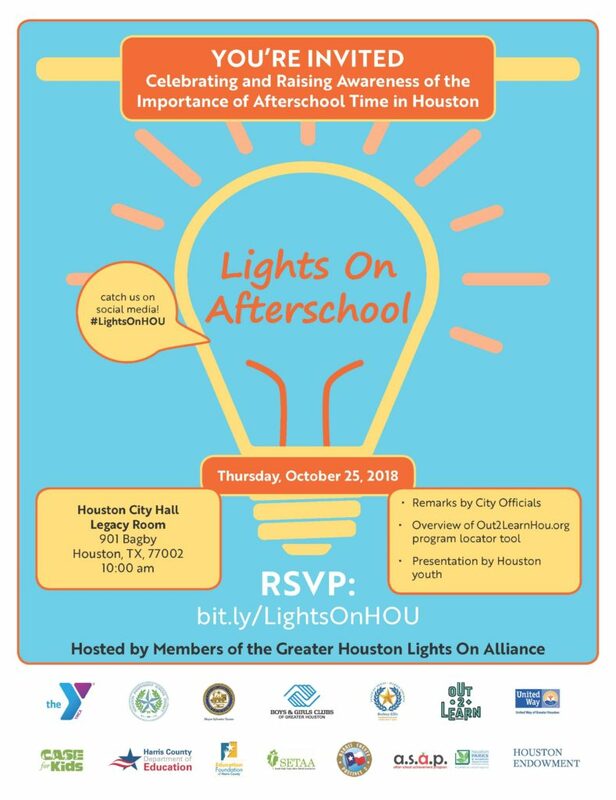 Lights On Afterschool is an annual nation-wide event that celebrates afterschool programs and their important role in the lives of children and families, and we’d love for you to join us in celebrating this occasion with the Houston community! If you are an afterschool program provider and are interested in hosting your own Lights On Afterschool celebration, register online to receive a free event starter kit!